Time for a change? How long has some of your makeup been in your makeup bag? How long have you been wearing the same style of makeup, the same colours, the same products? Should our look change as we get older? These are questions I get asked often as I go from wedding to wedding each week and so I thought I would try and answer these questions and take a look at particular aspect of our makeup application such as Foundation, what is right for you. As a professional makeup artist I would recommend you take a look at your makeup in your cosmetics bag and what you are using and the way you are applying it every 10 years. Our skin and face changes through the decades. What we used and looked nice in our 30’s may well not look so good in our 50’s. What is your skincare regime like? Have you had to change that over the years? Most of us would have, as skin ages it can become dry, more sensitive. So why are we still using the same foundation that we were using in our 20’s. A good way to find out the right foundation for our skin and for tips and know-how on use makeup that enhances our natural beauty at any age is to book in for a makeup lesson with an expert. My makeup lessons take 2 to 3 hours and we talk about everything from skincare, day looks to evening looks, tools etc. We will take a wander through your cosmetic bag. I will advise on products to keep or to throw out. I will show you ways to make the most of your existing products. If you need new products we can advise and you will have the opportunity to purchase them if you choose. 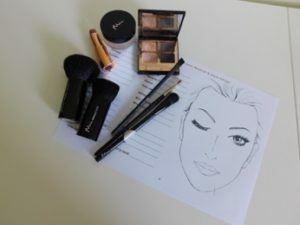 We work though some makeup charts for different looks and I will do a face chart with all the products we have used and shows where to put each product. But I don’t leave you there. I always tell my clients that they can contact me if they struggle to remember everything that we learned. There is a lot of information and practical application over the 2 to 3 hours and I don’t expect them to have to remember it all, so I think it is helpful to be able to go back to the professional and be able to clarify thoughts etc. Expert makeup workshops are also a great way of making that change to your look and makeup. We can provide workshops for 6 to 8 people. It is a fun way to learn, everyone can share their own tips or ask the question that you have been wanting the answer to but not sure about asking it. As well as demo’s, it is a hands on experience again covering everything we would do in a one to one makeup lesson but in a more fun and party atmosphere. Tea and cake half way through is always a bonus. As with the one to one I am always happy to advise after the workshops if there is a query. Makeup Lessons can take place in my studio or I can come to the clients venue. 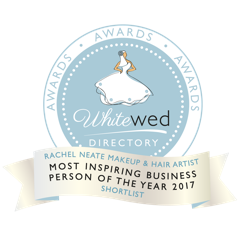 Workshops can take place here in my studio, at a venue or Hazelwood Beauty Salon in Sutton Benger. A couple of quotes from recent clients who have had a makeup lesson with me. Liz Gardiner – Thank you so much for today – it was exactly what I was hoping for! There was such a lot to take in today, that I’m trying to remember it all. I may well have questions, so will be in touch. Ros Lomas – thank you very much for my makeup lesson yesterday. There was a lot to take in but I must say I was very pleased with the result and what was more important, so was my husband!